There’s a lot to unpack from yesterday’s crackdown by federal authorities on mob-controlled illegal sports betting and poker in New York. Poker figures right in the center of it. The key New York players in the operation appear to belong to the Trincher family: father Vadim and sons Illya and Eugene. 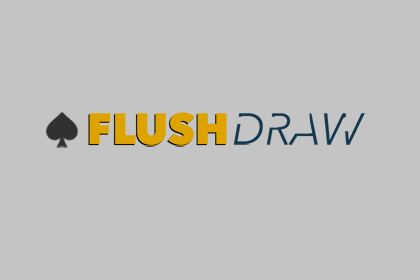 As reported on FlushDraw yesterday, Vadim is no stranger to the poker community. He made regular appearances on the tournament circuit from 2005 to 2010, capping them with a win at the 2009 WPT Foxwoods Poker Classic Main Event. The win was worth $731,000. He also owns a $5 million luxury condo in the Trump Tower in New York that was rumored to be the site of the biggest poker action in New York for many years, the so-called New York “Big Game” that was frequented by professional athletes, Hollywood celebrities, and high-stakes poker pros. Ilya Trincher on HSP Season 3. Vadim’s sons, Illya and Eugene, were not tournament players but both were heavily involved in New York’s high-stakes poker scene, especially during the boom years. 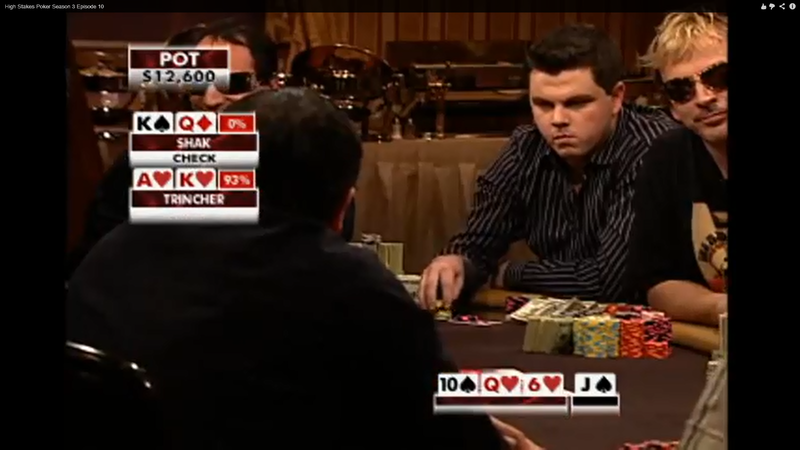 Eugene allegedly operated a string of underground poker rooms; Illya appeared on Season 3 of High Stakes Poker, shot in 2006 and aired in early 2007. At the time HSP commentator Gabe Kaplan remarked that it was clear that Trincher, then 21 years old, had played in cash games at that level ($300-600 NLHE) before. Illya’s reputation around New York was that he was a gambler of monstrous proportions. Barry Greenstein once called him one of the world’s biggest gamblers. In 2008 Illya bet David Benyamine $500,000 that the former tennis pro couldn’t beat Illya in a tennis match. Illya is believed to have backed many members of the New York high-stakes scene during the boom years. He reportedly had a piece of Nick Schulman for the 2005 WPT World Poker Finals, the tournament that put Schulman on the map when he won it and earned $2.1 million. Illya may also have been the one to first introduce Schulman to Eugene Katchalov (who called Illya “my good friend” in unpublished parts of a 2011 interview) after meeting Schulman at an underground poker game in New York. Katchalov has said that Illya had significant pieces of his own action for the 2004 Five Diamond at the Bellagio in Las Vegas. Illya likely continued to back Katchalov until 2007, when Katchalov took down the Five Diamond Main Event for $2.4 million. For his part, Katchalov was no stranger to gambling before he met Illya. In unpublished portions of the same 2011 interview, he revealed that his father, Alexander, “comes from a gambling background himself, in Ukraine. He was a gambler there.” Although Katchalov did not specify what kind of gambler, a bookie seems likely – Alexander Katchalov was among the 34 individuals charged in yesterday’s indictment. 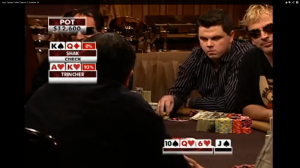 The remaining indicted poker pros are well-known to the poker community. Bill Edler and Abe Mosseri each have WSOP bracelets (Edler: 2007 $5,000 NLHE 6-handed; Mosseri: 2009 $2,500 2-7 Triple Draw); Justin “BoostedJ” Smith won a WPT High Roller event in 2010; Peter “Nordberg” Feldman won WSOP Circuit rings in 2006 and 2007; and John Hanson made the final table of the WSOP’s $50,000 Poker Players Championship in 2007 (3rd place) and 2009, when he was the runner-up to David Bach. Yugeshwar Rajkumar memorably was banned from the Borgata Casino in Atlantic City during the middle of the 2011 Borgata Poker Open, forfeiting a Day 2 stack of 84,700 chips. The connections to the sports-betting syndicate of these pros are less clear. There is little doubt that most were regulars in the underground high-stakes games that floated around New York and Los Angeles and that were facilitated by Illya and Eugene Trincher. What role any of the pros had in the sports betting side of the business is unknown. Hanson appears to have taken the most hands-on role. In addition to the IGBA, Wire Act, Travel Act, and UIGEA violations that the pros all face, Hanson got hit with racketeering, money laundering, and extortion charges. The poker side of the syndicate’s operations was run by Eugene Trincher with assistance from well-known NYC underground regular Eddie Ting and Molly Bloom. Ting has been running underground poker rooms in NYC since at least 2006, which has led to regular encounters with the NYPD’s vice squad. It now appears that he was a front-man for Eugene for at least some of that time. Bloom is the woman who landed on the front page of many Hollywood tabloids in 2011 for arranging the appearances of A-List Hollywood celebrities like Tobey Maguire, Leonardo DiCaprio and Matt Damon at the games in Los Angeles. Ting and Bloom were both indicted yesterday. Edler, the only indicted poker pro who wasn’t arrested yesterday, is rumored to have decamped from the U.S. to Colombia shortly after Black Friday. He is believed to be in the U.S. currently but his precise whereabouts are unknown.